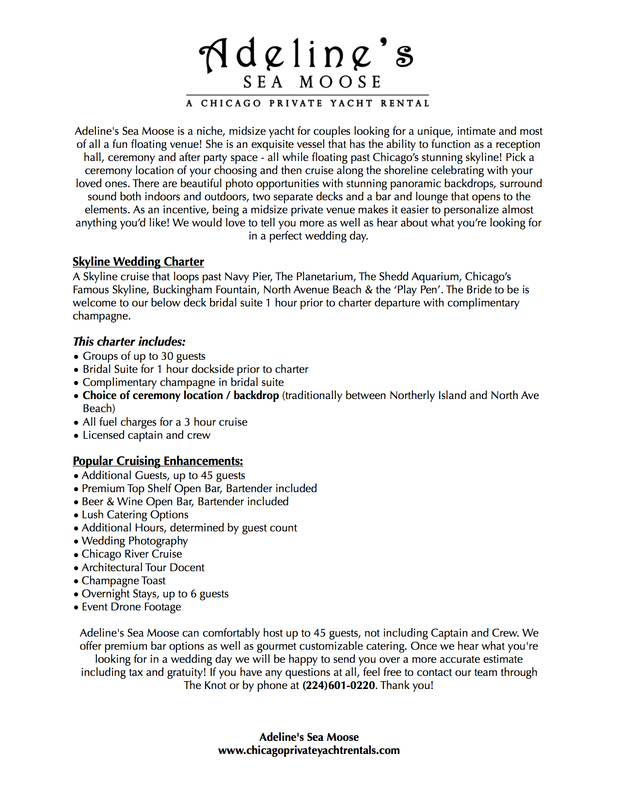 Adeline’s Sea Moose is a niche, midsize yacht for couples looking for a unique, intimate and most of all a fun floating venue! 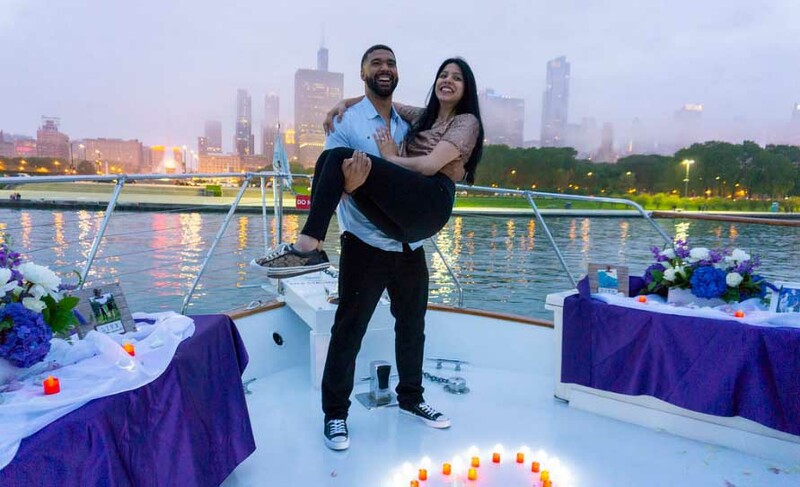 She is an exquisite vessel that has the ability to function as a reception hall, ceremony and after party space – all while floating past Chicago’s stunning skyline! Pick out a ceremony location of your choosing and then cruise along the shoreline celebrating with your loved ones. 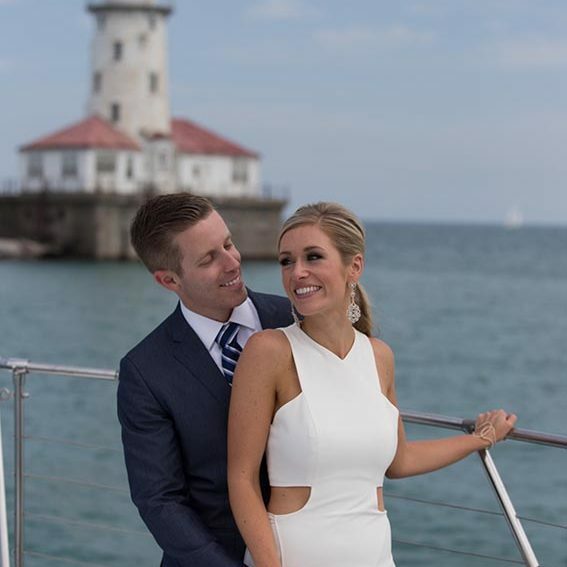 There are beautiful photo opportunities with stunning panoramic backdrops, surround sound both indoors and outdoors, two separate decks and a bar and lounge that opens to the elements. As an incentive, being a midsize private venue makes it easier to personalize almost anything you’d like! 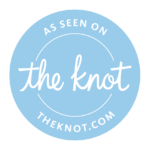 We would love to tell you more as well as hear about what you’re looking for in a perfect wedding day! Helping you to make I Will, I Do and Anniversaries magically, we can provide impeccable organization and creativity to make your very special moment exactly what you envision.